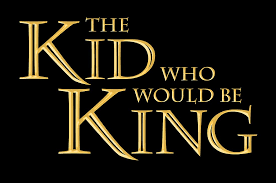 The Kid Who Would Be King is an upcoming British-American adventure drama film directed and written by Joe Cornish. The film stars Patrick Stewart, Angus Imrie, Louis Serkis, Tom Taylor and Rebecca Ferguson. Jennifer White Choreographed and Coached Patrick Stewart and Angus Imrie on the movements for Old and Young Merlin.